The BINSR and your options to respond as a Scottsdale luxury home buyer. You’re entering a critical time in your Scottsdale luxury real estate transaction when the Buyers Inspection Notice and Seller Response (BINSR) reflect what you’ve discovered during your 10-day inspection period. 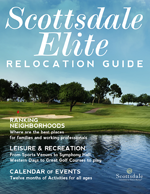 As a Scottsdale luxury home buyer, knowing the full extent of your options and which one is best for you is only possible with a Scottsdale exclusive buyer agent who has an intimate understanding of your options and vital next move in this critical stage of the process. There are three options, but your outcome ultimately depends on whether you have a Scottsdale buyer’s agent or if you are dealing with the same listing agent to buy the home. Let’s say a buyer provides an extensive list which may include preventive maintenance or other reasonable requests; however, the seller does not believe they require corrective action based on the specific language in the Arizona Association of Realtors contract paperwork. The language states that sellers are not required to make any repairs. Most sellers are expected to make some repairs, but what happens when the buyer is not satisfied with the seller response to the buyer’s request? There may be a difference in how a seller responds, depending on whether you are represented by the listing agent or your Scottsdale exclusive buyers agent. a) the buyer can immediately elect to cancel and receive a full refund of earnest money deposit. b) the buyer can accept the seller’s response and agree to close escrow without correction of items that the seller has not specifically agreed to in writing in the BINSR response. Although these are the only written options according to the AAR contract, often both sides are not as rigid and actually do negotiate and modify the BINSR as long as all legal parties agree. There are two ways where your buyer broker can represent your best interests: Your Scottsdale buyer’s agent should always negotiate on your behalf to protect your monetary interests. Your realtor should be firm and protect your best interests at all time. There’s a fine line between an amicable relationship between all parties involved and and making unreasonable demands. This where your Scottsdale exclusive buyer’s agent plays a critical role in protecting the rights of the Scottsdale luxury home buyer.